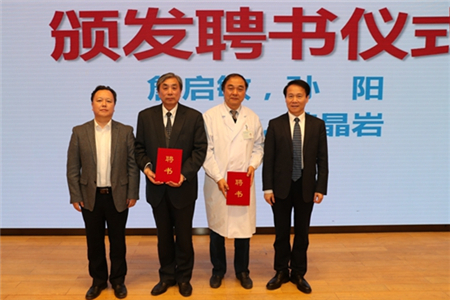 On April 1, the founding ceremony of the Academy of Integration of Chinese and Western Medicine of Peking University Health Science Center (PKUHSC) was held at China-Japan Friendship Hospital. More than 30 experts from PKUHSC including Zhan Qimin, academician of the Chinese Academy of Engineering, PKU Executive Vice-president, PKUHSC President, and President of Shenzhen Graduate School (PKUSZ), participated in the meeting. 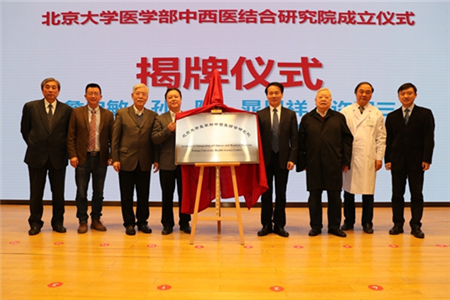 The participants also included Sun Yang, President of China-Japan Friendship Hospital and other 300 people from the disciplinary teams of the hospital. PKUHSC is the leader of medicine, teaching and scientific research in China. China-Japan Friendship Hospital is a large general hospital directly under Chinese National Health Commission, and it’s also a high-level national hospital of integrated Chinese and Western medicine. 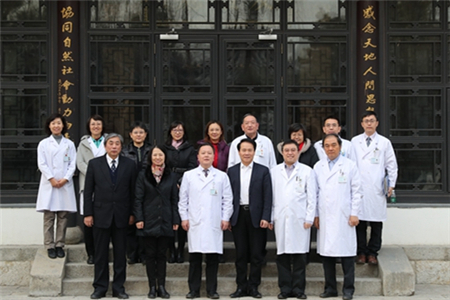 In early 2019, the two sides reached consensus on resource sharing and coordinated development, and then, the Academy of Integration of Chinese and Western Medicine of PKUHSC was formally established. This marks the birth of the research system of integrated Chinese and Western medicine, which meets the needs of integrated Chinese and Western medicine research and integrates clinical medicine, basic medicine and pharmaceutical science. Academician Zhan Qimin is the chairman of the academic committee, vice-president Zhang Ning and vice-president Gao Haipeng are the directors of the management committee, and Professor Han Jingyan and Professor Yao Shukun are the presidents of the Academy. 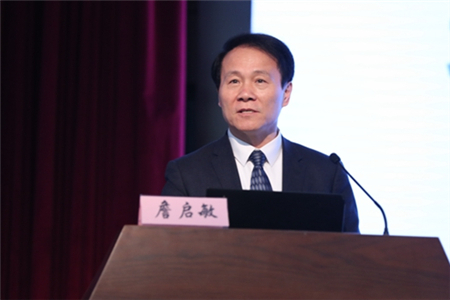 In his speech, Academician Zhan Qimin pointed out that, based on the principle of “taking advantage of each other’s strengths”, the Academy of Integration of Chinese and Western Medicine will focus on the evaluation of clinical efficacy of Traditional Chinese Medicine in the prevention and treatment of chronic diseases, the study of the material basis and mechanism of compound Chinese medicines, and the elaboration of the scientific connotation of the core theories of traditional Chinese Medicine, actively carrying out clinical research, and sorting out, verifying and putting forward chronic disease management and prevention programs, so as to truly benefit the vast number of patients and help promote the strategic construction of Healthy China. In the newly released "the Three-year Plan for Discipline Construction of China-Japan Friendship Hospital", the hospital clearly regards the discipline construction of integrated Chinese and Western medicine as one of its four major tasks in the future. The hospital will effectively promote the development of the Academy in terms of personnel policy and financial support, and make contributions to the health of the whole people. PKUHSC will provide support for the Academy in aspects such as team building, Clinical Medicine + X project, and so on.